Canadian governments are often portrayed as Dudley Do-Right, a caricature member of the Royal Canadian Mounted Police in the 1960s television cartoon series, who was always trying to do good; never caught the villain, never got satisfaction from the girl. That was because Dudley had less brains than his horse, who did better with the girl. Since Dudley, er Justin Trudeau became prime minister of Canada a year ago, the PR gap between the caricature and the prime minister has widened; the IQ gap has contracted; the distance to the villain and the girl has stayed the same. The villain in the new Dudley Do-Right cartoon on Canadian policy is Russia. Canadian special forces are fighting Russia on both the Ukraine and Syria war fronts. Canada has given Kiev C$400 million (US$305 million) to pay the Ukrainian army, backed by most Canadian non-government organizations (NGOs) insisting they are on Do-Right’s side. One in particular, Partnership Africa Canada (PAC) of Ottawa, the Canadian capital, leads the charge against diamonds, gold and other mineral developers, many of them Russian, who compete or threaten Canadian mining interests. PAC, it turns out, is a weapon of commercial and economic warfare. Financially, it belongs to the US State Department and US investors, George Soros and Pierre Omidyar. Partnership Africa Canada (PAC) began in 1986 as a conduit for Canadian government money for country-specific programs and regional African emergencies such as famine and war refugees. PAC received US $150 million from Ottawa in the first decade, and was a clearinghouse for funding other NGOs. When Ottawa cut the big money, PAC was redirected to focus on diamond mining in Africa and other minerals. 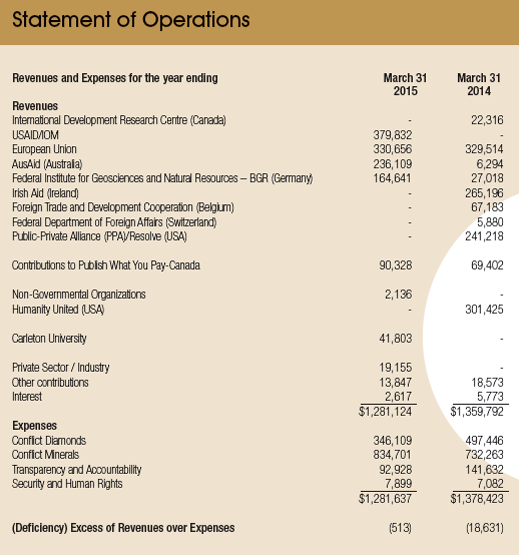 The biggest source of its operating budget remained Canadian government agencies. But as the first decade of work on “blood diamonds” concluded, PAC appealed to fresh sources of money to do different things. Blood diamonds weren’t good for PAC’s wellbeing, financially. Its budget sank to a low of C$365,329 in 2001, when the organization was focusing on warfare in Sierra Leone and Guinea. It has managed to quadruple its budget to around C$1.4 million since 2013. PAC’s pitch for the new money has expanded from blood diamonds, which have largely been eradicated from the global market, to money-laundering, transfer-pricing, and bribery in the diamond trade, with fresh targets in Africa as well as abroad. It has also begun to expand into gold, tin, tantalum and tungsten and other minerals crucial to North American electronics and military industries. According to Engler, the role of Canadian NGOs in Africa is “to pacify local opposition to the mine”; preserve unrestricted export concessions for the mining companies; block local job creation and beneficiation (processing and manufacture) of mine output; and lock local African governments into investment protection treaties allowing Canadian mine companies to sue in international courts, where legal costs and penalties are high. The Russian suspicion, according to Sergei Goryainov, lead analyst for Moscow-based Rough & Polished, the Russian diamond industry bible, is that PAC is funded by the Canadian, US and NATO governments and businesses as a covert intelligence operation. “For over a decade,” PAC reports about itself on the group’s website, “we’ve been at the forefront of a global campaign to stop violence in diamond producing areas and create a responsibly managed diamond supply chain.” As the warfare surrounding diamond mining diminished in Angola, Sierra Leone and the Democratic Republic of Congo (DRC), PAC has moved beyond blood diamonds mined in war zones. “Conflict diamonds” are not the same issue as they used to be, according to PAC’s latest declarations. The new focus is on Brazil, Venezuela and Zimbabwe, and also on the United Arab Emirates (UAE). According to PAC, its targets are now money-laundering, transfer-pricing, tax evasion, bribery, and market rigging. The diamonds have been re-classified “conflict-affected minerals”; the targeted minerals have been expanded to follow attempts since 2010 by the US Congress to widen the geography and increase the number of metals designated to gold, tin, tungsten and tantalum. “Diamonds lend themselves so easily to funding terrorist activities” is one of PAC’s claims. Also: “Diamonds are often used to perpetuate corruption and deprive states of much needed revenues.” But in this 2014 report no evidence was presented of the terrorism link for either diamond or gold trading. Also omitted from the report is the evidence, which surfaced after publication, that between 2012 and 2014 PAC’s “Just Gold” operation in the DRC had overlapped with mine concessions belonging to the Israeli entrepreneur Dan Gertler, and avoided putting pressure on the nearby goldminers, Anglogold Ashanti of South Africa and Loncor Resources of Canada. “Providing capacity-building and technical assistance to support transparency in the mining sector” is one of PAC’s declared goals. Canadian, French and other researchers point out that the transparency goal doesn’t extend to Canadian or US mining companies, or to the operation of US, Israeli, Swiss, and Belgian diamond markets, or to the role Israeli government agencies and miners, including Gertler, Beny Steinmetz, and Lev Leviev, play in financing regime corruption in Africa. Russia is an obvious PAC target, Russian and Canadian sources acknowledge, because Alrosa, the state-owned diamond miner, is the world’s largest producer, and with DeBeers of South Africa, the dominant supplier of rough diamonds to the global market. US sanctions have been expanding against Russian state companies, and against Russia’s international trade. For the last report on Belgian resistance to sanctions in the diamond trade, click. PAC’s funding sources are all on the US and NATO side. 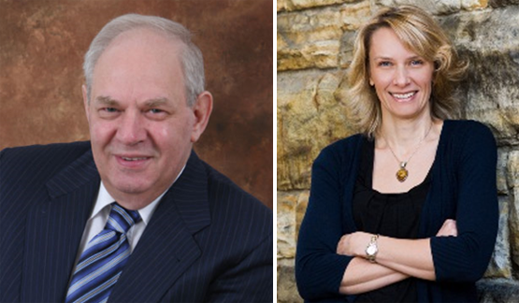 Critics like Engler and Goryainov see one-sidedness in other ways. One of the sources for the 2014 activities, PAC reports, was the Irish Government. Ireland’s role as a tax haven for Dublin-registered oil, mining and other resource companies isn’t mentioned. PAC has not reported on its activities since then; the annual report for 2015 is missing. The most obvious change in cashflow is a dramatic one. Partnership Africa Canada is no longer Canadian, apart from a minor donation from Carleton University in Ottawa. PAC is now a US government and NATO operation, and as the Irish and Belgian governments have dropped out, they have been replaced by the Australian government. The bottom-line deficit is also obvious. PAC has been running in the red since 2012. Without the takeover by the non-Canadian governments and business interests, PAC would have been too broke to continue. The business funding for PAC is also American, and anti-Russian. The biggest of these is George Soros (lead image); he has also been joined by another US business financier of anti-Russian causes, Pierre Omidyar (right). Reviewing the annual reports of PAC over the past decade, the most important of the NGOs identified as financing PAC or partnering with PAC, include Revenue Watch Institute (US). This appears now to be part of the Natural Resource Governance Institute (NRGI). The principal sources of funding for these entities are Soros, Omidyar, and the Hewlett family. Soros’s involvement in financing the rewriting of mining concessions in Guinea has been documented here. For more on Omidyar’s schemes, read Mark Ames here. On Omidyar’s financing for Kiev’s side in the Ukraine war, read this. 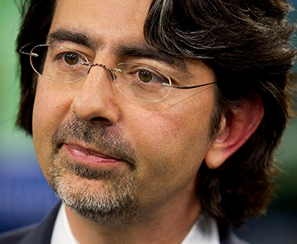 Ames recently began exposing Omidyar’s west Africa operations. Humanity United (US) started with just $5,844 in 2013, and followed with a whopping $301,425 in 2014. A Do-Right name for an organization; its website reveals it to be an Omidyar front. Publish What You Pay Canada receives Soros funding directly from the Open Society Foundations (OSI) and indirectly through the Natural Resource Governance Institute. It is also funded by Christian evangelical missionaries of World Vision. 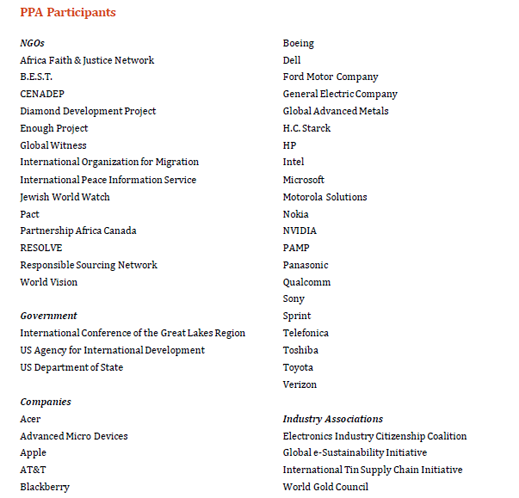 The Public-Private Alliance (PPA)/Resolve organization is based in Washington, DC: the personnel running it come from the US goldminer Newmont; the US Agency for International Development (USAID); from the Motorola corporation’s tantalum source and supply branch; Greenpeace; and from an individual whose career resume included a tour of duty in Kosovo, handing out microfinance (aka cash) after the NATO war against Serbia created the breakaway state.